Home › Opinion › So who are we? Before Saturday’s home game with Oxford United, I was invited to be a speaker at the latest of The Record Café’s Lunchtime Lectures series, where I talked for about 40 minutes about my new book, Who We Are, plus the culture and DNA of Bradford City Football Club. Here is a condensed version of my presentation. As Bradford City fans we’re all a part of something. Claret and amber in our hearts. In the city of Bradford, and across the Bradford region, there wasn’t a single bigger gathering than the one that at Valley Parade last Saturday. And you’d struggle to find a more purposeful symbol or cause that provides such a strong identity to the city. As we look at Bradford through the modern lens and see economic and reputational struggle, it’s hard to believe that just over a century ago, Bradford was in fact one of the leading cities in the world. In the 1300s, Bradford was a tiny village with a population of just 300. Even in 1780, it was only 4,000. But then the industrial revolution changed the city and, by 1851, the city was home to 103,000 people. Bradford was of course a leader in the textile and wool trade. There were more than 300 mills operating in the town, and some 70,000 employed in this trade. It dominated the place in a way that you just can’t comprehend in modern times. There was wool production – worsted cloth – plus the production of wool machinery and products around it. And the selling and distribution of it around the world took place at the Wool Exchange – now home of Waterstones and other businesses. 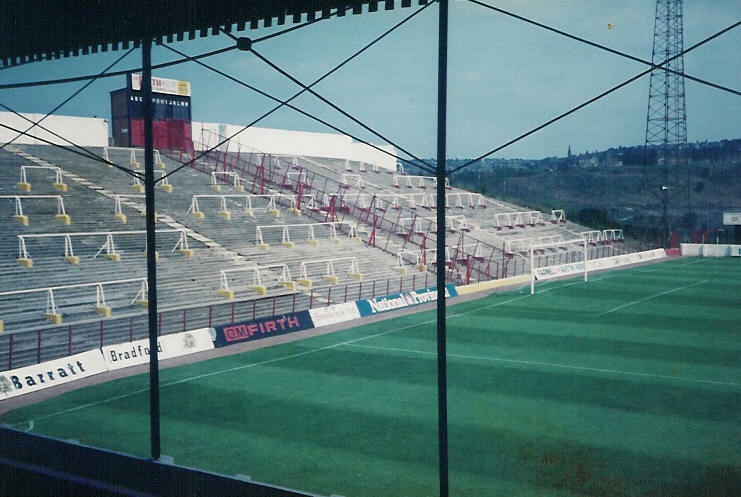 Against this backdrop came the creation of Bradford City. The Factory Act of 1850 led to the birth of Saturday afternoons off work, and the development of sport as a leisure activity. That saw the rise of cricket and rugby, with the town having Bradford FC and Manningham FC – the forerunner of Bradford City – as two leading clubs in rugby, and helping to reinforce the city’s status and feeling of being a successful city. But after 1895 split of rugby led to the Northern Union creation (rugby league today), both Bradford FC and Manningham FC became trapped in a sport that was no longer as economically viable. Meanwhile, association football was on the rise, and already far more commonly played in Bradford schools than rugby. As the Football League expanded and football headed towards its status today as the national game, there was a commercial desire to have a Football League club in West Yorkshire, to further damage rugby’s popularity. In those early years, Bradford City had real prestige in West Yorkshire. Supporters would flock to Valley Parade from all over the region by train. Attendances grew and grew, especially after promotion to Division One in 1907, and for a time we were one of the top 10 supported clubs in the country, with higher crowds than Liverpool, Everton, Woolwich Arsenal and Sheffield Wednesday. 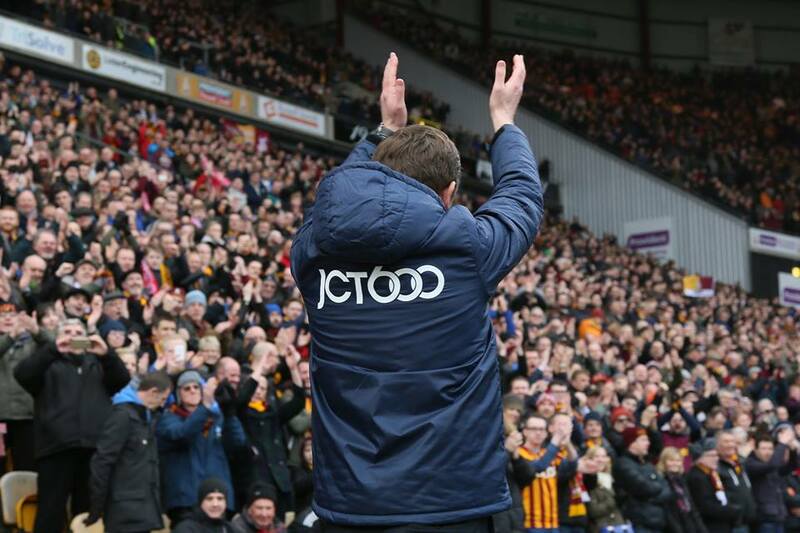 Bradford City’s success reflected the city and helped to maintain that superior status. They of course won the FA Cup in 1911, at a time when the FA Cup was considered far bigger deal than the league. They finished 5th in Division One that same year. So what went wrong? The answer was the Great War that began in 1914. At the start of the 1914/15 season, the club had invested heavily in new players. Although the season carried on as normal, with the belief the war would be over by Christmas, there were clearly huge effects. Crowds were down hugely due to people signing up and restrictions of train travel. By the end of season, the Football League was suspended until the war was over. Significantly for the City of Bradford was the Battle of Somme on 1 July 1916. 1,770 members of the Bradford Pals lost their lives. It was the worst day for casualties – 60,000 in total, with 20,000 killed – the British Army has ever experienced. The Bradford Pals were mill hands, tram conductors, warehousemen and footballers. This loss of life included nine current and former Bradford City players. Such huge loss of life robbed Bradford of a generation of new thinkers, to take on the baton from Titus Salt and Samuel Lister. And post-war Bradford just couldn’t adapt to the changing world, with the economic folly of too many eggs in one basket. The British worsted wool industry was worth £140 million in 1920, but by 1931 it had shrunk to £31 million. Mills closed across Bradford, causing huge job losses. Even those who kept their jobs had to accept reduced pay. And though other industries would come along to keep Bradford moving economically – tractors and TVs were produced in the city during the 1950s and 1960s – the place would never touch such greatness again. Bradford was no longer the centre of England, never mind the world. Bradford City suffered too. The loss of players in battle necessitated new arrivals, but the stretched finances following the transfer gamble of 1914, and the four-year break for war, limited their capabilities. They were relegated in 1922 alongside Manchester United and wouldn’t be back in the top flight until 1999. In the 30s there was hope of a revival, but the board kept selling players, and the club continued to decline with attendances falling and falling. These events meant the club went from being one of the country’s top clubs to the lower league outfit we know today. 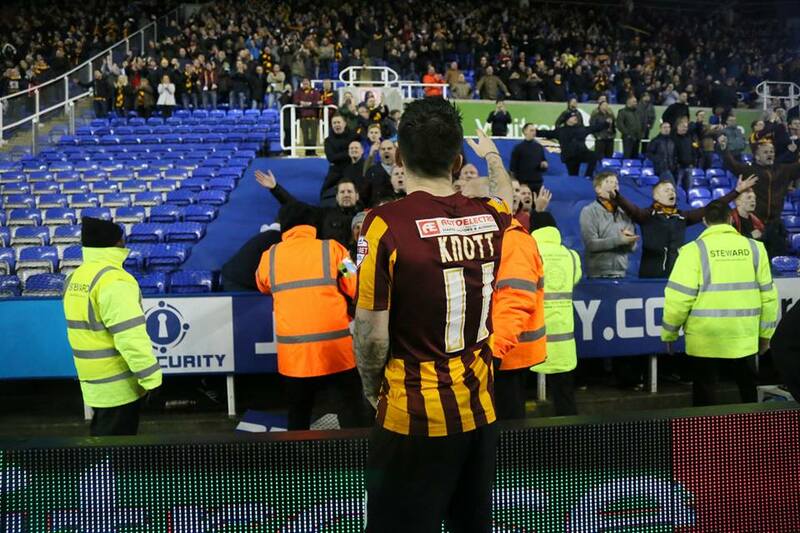 We’re underachievers, ultimately, and that explains part of the Bradford City’s psyche. Bradford’s own economic and reputational decline has helped that too. In the 60s, badly thought out council strategies of tearing down iconic buildings from the city’s heyday robbed Bradford of much of its character and prestige. The roads were badly designed, with the ring road poorly thought out. The trainline has been a huge problem. We have two small stations, versus Leeds’ huge railway station. The M62 that was built connected most Northern cities, but initially left Bradford out. Even now, we have to make do with the M606. To the rest of the country, Bradford fell off the map. Opportunities went to Leeds. We still see it to this day, such as the recent announcement of Channel 4 building a head office in Leeds. Bradford suffers massively compared to Leeds, economically and reputationally. 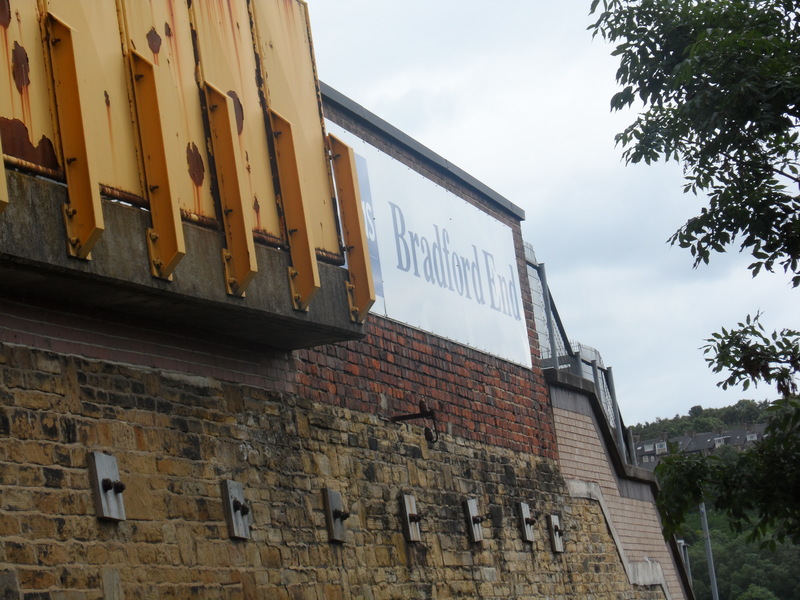 Of course, many other cities have two football clubs – cities smaller than Bradford. But by and large, there is a pecking order. Notts Forest and Notts County. Bristol City and Bristol Rovers. Even Liverpool and Everton. Despite Bradford City’s early advantages, both Bradford clubs were basically as bad as each other. And then of course came the transformation of Leeds United. Up until Don Revie’s arrival in the sixties, they were a non-descript club with no real achievements of note, and low crowds. Revie reinvented the club and turned them into Division One champions. Crowds rocketed, which not only caused football fans across the Bradford district to favour a trip to Elland Road, but people who lived in Bradford too. There’s no doubt that, over the last 50 years, Bradford City has benefited from Park Avenue’s demise. Not as much as we might have liked, due to a lot of BPA fans going to Leeds United and a long-standing bitterness towards City. But in 1985 we returned to the top two divisions for the first time since before World War II. And we’ve been to the Premier League for a few years. The modern Bradford City has been about struggle. We’ve had a lot of bad times on the field, and tragedy in our stadium. We’ve seen more failures than successes. And we can all think of friends and family members in our lives who simply cannot understand why we support an unfashionable football club. But there is a strong and deep emotional connection that we derive from being Bradford City supporters, and it comes through many different reasons. There is the identity and representation Bradford City gives to the city. When the chips are down, as fans we really come together. We like to think of ourselves as a big club – because in many ways we are – but we thrive when feeling up against it. If you have followed City for a decade or more, you’ve felt the sharpest of lows but also the highest of highs. And that strengthens our bond. We see these traits reflected back to us in our heroes. Stuart McCall, Gary Jones, Bobby Campbell, Ces Podd, John Hendrie, Wayne Jacobs, Jamie Lawrence, Stephen Darby. Footballing-wise, these and others have greater ability for sure. But what made them heroes and legends was their work-rate, desire and dedication. Even someone like Benito Carbone, one of the most gifted players to play for the club, became a hero because he matched his application with hard work. It goes a long way to explaining why someone like Josh Wright simply isn’t accepted by City fans right now. A flash-looking Essex geezer with privileged friends. Not the greatest of looks in Bradford perhaps. Although no one care if he actually put a bloody tackle in. Some managers have understand that to be successful at Bradford City is not simply to sign the best footballers the budget can stretch to, but a certain type of character. Phil Parkinson got this better than most. Our success of 2012-2017 was not just about winning a few football matches, but the way we went about it. Parkinson knew the crowd can be a weapon, but put out the wrong team and that weapon will be pointed inwards and destroy the team. So we had a team of grafters who played with courage. And we got right behind them, which spurred them onto be successful. A feedback loop of positivity. Exactly what we haven’t had this season, up until now at least. And it is important to talk about the modern issues. Mr I know football, sadly does not know Bradford City. Since his takeover in 2016 we’ve seen the club transformed, but not in a positive way. We’ve been gutted. Asset-stripped. The values have gone. We’ve stopped signing footballers for their character. We’ve let good people depart from behind the scenes. The values that we hold dear simply haven’t been understood or taken on board. As people like John Hendrie and Julian Rhodes have rightly said, we’ve been in worse positions than this. But this isn’t just about league tables and the balance sheets. It’s about our DNA and our values. As I was writing my book Who We Are, the club was imploding and I realised that the aims and objectives of the book had to slightly change. Just as I was attempting to define and capture what Bradford City is, those values were being chucked in the bin. So I hope the book can act as a blueprint to what the club should stand for. Because at some point, we’ll prise those keys back and be able to trust someone else to rebuild it. On WOAP in the summer, I encouraged readers to share their views on the club’s identity, and from it developed common themes which form the conclusion of the book. In terms of leadership – we want people with the club’s best interests at heart. You don’t have to be from Bradford, but you do have to understand us. And you have to be courageous in good and bad times – no hiding in difficult moments. There’s a strong sense of community amongst us fans. The Bantams Family mantra really resonates with people, who take pride in the club being inclusive and welcoming to the community. We’re proud of our affordable season tickets. Our long-term aims are not directly related to which division we’re in or having success. It’s about stability, playing good football, hard work and determination. Having a team to believe in. And in terms of values, it’s about feeling engaged. During our glory moments like Arsenal, Villa and Chelsea, as fans we felt heavily involved. The noise we made as crucial to winning as the performances of the players. We like to feel included and connected. That we matter to the club. We might not agree with every decision, but we want to feel like we are listened to. We are not consumers. I hope that these reflect how you feel about Bradford City too. We have a fight on our hands here. I believe we are getting there and that Edin Rahic is ultimately finished, but we’ve all got a part to play in rebuilding the mess he has made of things. We’ve all got to come together now. Not just to get behind the team at 3pm on a Saturday, but to articulate and have our say in the direction we think the club needs to take. How we rebuild and restore what’s important. 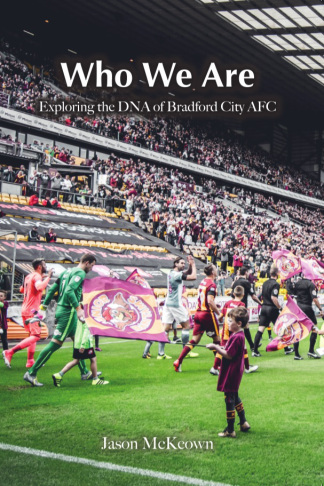 To read more about Bradford City’s DNA and culture, Who We Are is available to buy from BantamsPast.net, Salts Mill, Waterstones Bradford, The Record Café or BantamsBanter.com. It’s the latest volume of the History Revisited series, and a great Christmas present! The club has to get its PR back into order and a spkesperson is badly needed. Julian is a massive step in the right direction and it certainly feels like the toxic atmosphere has at least becoming a oositive air. However, i do feel the club need to come out and make a statement on Rahic in relation to what is going on and how we can move forward and start repairing the wreckage that has become Bradford city football club. Many thanks for putting this on WOAP. I couldn’t get to the game nor to the talk. It’s a great summary of City’s history and the book too is a great read for anyone with an interest in the club. How ironical that, when such a book was being written and published, it coincided with such a disastrous ownership that has unravelled all the gains gradually built up over the past seven years. But we have seen worst times. As someone who has supported the team since 1953 I can assure people that the early 1960s were much worse – crowds of 3,000 and no hope at all of things getting better. Two successive 7-1 defeats in September 1965, one at home, was the worst moment. Yes, some of us were driven to Elland Road – what could be worse? Above all, we have a much stronger fan base, higher expectations and, thanks to Jason and many others, some really good writing that keeps us engaged and optimistic despite the problems. After Oxford, dare we hope that we are turning the corner? Well, Luton tonight will be a major challenge but, having been to Peterborough where against the odds we fought hard and could easily have won, I’m not writing them off as I would have done a few weeks ago. Almost overnight we can start to believe again. Although I’ve not supported City quite as long as you (1956 in my case), like you ,Martin, I remember clearly those two 7-1 defeats. I was actually there for the home defeat which was to Stockport County. Yes they were very dark times but, to me at least, the past 18 months or so seem just as bad. Maybe it’s because back in the early 60s we had little hope or expectation and rarely had much to cheer about other than possibly the FA Cup matches with Everton and Burnley in 1960. For me the difference now is that, as a result of the steady progress made since Parky’s involvement, we have had hope and expectation but almost in no time at all these hopes and expectations have come crashing down leaving us all fearful for the future. Like you, I had written this season off a few weeks ago but, hopefully, there are now signs of some improvement on the pitch and with Julian Rhodes now back and Mr Rahic on his way (if we are to believe the press reports) possibly we can start to believe again! Jason, good luck with your book and wonderful history summary in this article. I started supporting City in the early 50’s and the black and white photo of Valley Parade from the Bradford End refreshes my early memories. One of the terrace houses in the top left corner was used for change rooms with a tunnel under the Kop to the pitch. The first floodlights were built on wood telegraph poles. Also, my first City hero was Bobby Webb. He scored the winning goal against Manchester United at VP in 1960. As I stated to you previously, I couldn’t get to your talk last Saturday and I am sorry that I didn’t hear you speak. I am sure that you were well received. Thus I appreciate you sharing this article. Like a lot of Bradford City supporters, I value when players give their all when they are wearing the Bradford City shirt. You want to feel some sort of connection with the players and unfortunately this has been missing in recent months. Hopefully that feeling of dis-connection will be banished sooner rather than later although it is going to take time for bridges to be re-built. Players such as O’Connor, the two O’Briens and Wood look like they care and amongst the many poor performances this season, we can hopefully see some small green shoots of recovery despite a 4-0 thumping at Luton Town tonight. This season is going to test the most loyal of Bradford City supporters as life both at Valley Parade and the wider world presents us with challenges. However, remembering Stephen Darby’s current situation, we must not lose sight of the fact that we are part of something special and that is Bradford City football club. WIth ownership of the club comes responsibility and our owners must recognise that. Whilst I understand that Mr Rahic has been the one positioned at the club dismantling the people structure that has made us so successful in recent years and replacing it with one vastly inferior, Mr Rupp has in my view not been challenged enough on his own failure to take responsibility. To cut a long story short, he owns the majority of the club and it was his money which empowered Rahic to be so disruptive – Rupp appears to have stopped coming to games and now needs to show leadership and tell us how he intends to get us out of the mess caused on his watch. WIth power comes responsibility Mr Rupp and you owe it to the club, the supporters and the City of Bradford to tell us how you are going to invest in the right people on and off the pitch to repair the damage caused by YOUR tenure. You broke it, you fix it – please share your plan. Just returned from a spineless display at Luton. Great read.”Luckily at Bradford City we’ll never have an egotistical, over-bearing chairman…” For long before ejected. You sum Bradford”s decline perfectly as a City. The “Family ” has been created despite the plunge from grace dramatically these past 20 years of The City Of Bradford.2000 crowds I witnessed 50 years ago.City got slightly more 69 onwards with a short spell in the same league we are now.18000 would have been reserved for the odd time Spurs came to town.I found the 35000 that made the trip to Wembley almost haunting.It was like everyone turned up with pride in a City that had taken a dreadful tumble but we still loved.Warts and all. I see Hopkin alluding to lack of character in another (with pony tail or bob) with the southern softie mentality.His groin hurts.Characterless.